The best way to get to know a community is by scheduling a tour. See the facilities, meet the staff and residents, and get a feel first hand what it's like to live at Oak Cottage of Santa Barbara Memory Care Memory Care. 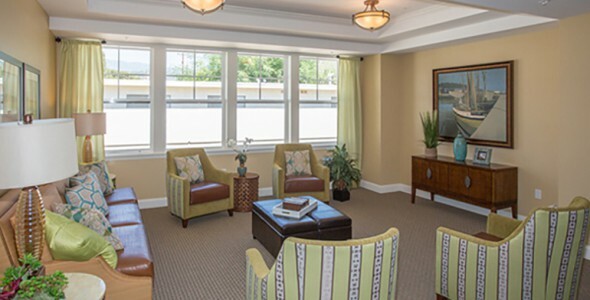 Oak Cottage is separated into 3 neighborhoods, specifically designed for residents who are challenged with cognitive impairment, including Alzheimer's Disease, Parkinson's Disease, Lewis body dementia and frontal lobe dementia. Our neighborhoods of 11-15 apartments open onto a gracious and secure grand room with areas for dining, activities and views to outdoor patios and deep-set porches. Our apartments all have private entrances and you may choose between private or shared bathrooms. Each apartment has 11 foot ceilings with a private counter and storage area including a small refrigerator and bar sink. We love our residents and consider them family so every opportunity to celebrate important events in their lives is duly celebrated. Birthdays, anniversaries, holidays, special events in S.B. are all excellent reasons to celebrate. We love to show our residents a great time.